When your parents are separating you may go through a number of different feelings. – You may feel angry at one, or both, parents because you feel like they should stay together. – You may feel sad that you will not be able to do as much as you could when you were part of a family. – You may feel scared that you are not going to see one of your parents again, or that you are going to be separated from your siblings. – You may feel depressed that you are not going to take part in the same activities that you did as a family. – You may feel anxious that you are going to miss your usual routines, not eating at certain times, or missing schools. – You may feel frightened that your future is not going to be as happy as it would have been. All of these are perfectly normal ways to feel. It is a good idea to talk to someone about these feelings. Ideally, this would be one or both of your parents, but it could be that you want to talk to a teacher or one of your friends about these feelings. It may also be a good idea to write down, in a diary or journal, exactly how you are feeling. You should not blame yourself for your parents not getting on and you should not feel responsible for fixing things. At the moment you may feel very sad, but things will eventually get better. It is worth remembering that your parents will always be your Mum and Dad (or Mummy and Daddy, if you are younger) even if they split up. – Friends. Whether in or out of school you can find that friends may have been through the same experience. Even if they haven’t they may be able to provide help and advice. – Family. Apart from your parents you may have other members of your family that you can contact. Aunts, uncles, cousins and grandparents can be good sources of help. – Teachers. A teacher can be a good adult to approach for advice. It may be a good idea for your parents to let the school know that they are separating so that your teacher can help you if you need it. – Official websites. Online you can find help lines and websites to contact. For those who have left home or run away to send a message to their family or carers, and to get help and advice. youth2youth.co.uk – telephone and online help for young people run by young people aged 16-21 who have been specially trained. Tel: 020 8896 3675(Monday and Thursday: 6:30-9:30pm). Mediation helps parents to talk together to sort out issues regarding divorce and separation. However, children can also talk to mediators too. 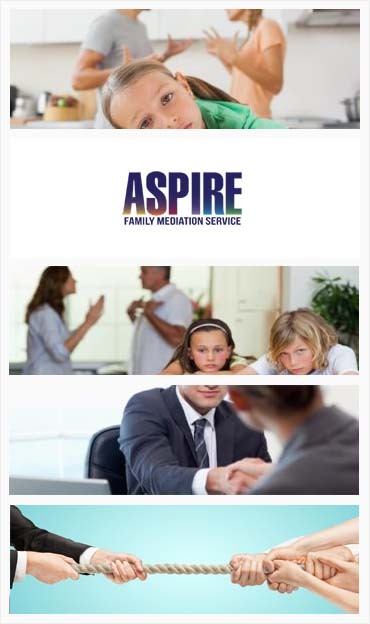 We always ask parents if it would be helpful for their children to meet with a mediator. In many cases this is helpful as you can talk with the mediator about any issues that might concern you and in turn the mediator can help your parents to discuss these.